With Excel 2013 you have a powerful new way to build interactive reports and analyze your data using the tool you already know and love. Now Excel provides rich data connections, transformation and visual analytics in an unified, seamless experience. 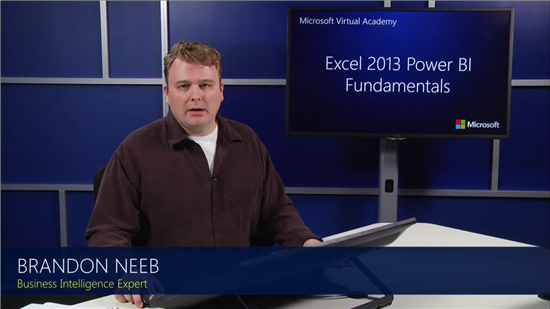 To help you ramp up with these exciting capabilities, Brandon Neeb created a 4 part on demand course at the Microsoft Virtual Academy so you can learn at your own pace how to discover data with Power Query, create models with Power Pivot and visualize with Power View and Power Map. Don’t forget to let us know what you think. Enjoy!